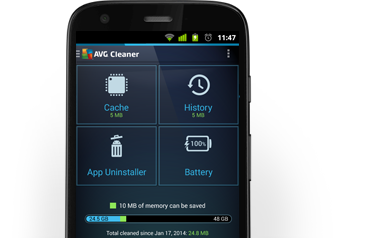 AVG Cleaner for Android™ identifies unnecessary app caches, log files, cookies, old downloads and other junk data files on Android smartphones and tablets. Test device: This phone was heavily used over the course of 2 years by a teenager who played tons of games, used Facebook daily, and downloaded countless videos and photos. Results: Of an available 11.35 GB, over 2.3 GB of unnecessary cache files and downloads (mostly old photos, videos, and apps sitting in the “Downloads” folder) were found and deleted. Another side effect: Once we returned the phone to the teenager, she noted that two of her favorite games were running again – probably due to some corrupt cache files that we had cleaned and which got recreated as a result. Test device: The Motorola G we picked was used for 3 months by a mid-30s sports fanatic who we’d asked to use it for all his activities, including running fitness apps, taking pictures, and researching his next cycling or mountain climbing trips. Since he stored a lot of photos, he had only about 150 MB of free space left and was in dire need of a cleanup. Results: Of an available 12.9 GB, over 1.9 GB of junk files were found and removed. In this case, many downloaded PDFs, map packages, and forgotten sports videos. Finally, the phone was able to breathe again. Test device: With this device, we did something special. After unboxing the brand-new phone, we began loading it with the top 100 apps used by our own AVG users. To test the impact, we then ran each app three times over the course of the first month. Results: Even though we had only run these apps a few times on a brand-new device, they created 70 MB of cache and almost 388 MB of history data. Given that the S5 only has 16 GB of storage by default, saving roughly half a gigabyte after only 4 weeks of usage is a very nice result. We tested AVG Cleaner for Android on a heavily used 2-year-old Samsung Galaxy S3®, a 3-month-old Moto G, and a 1-month-old Samsung Galaxy S5. 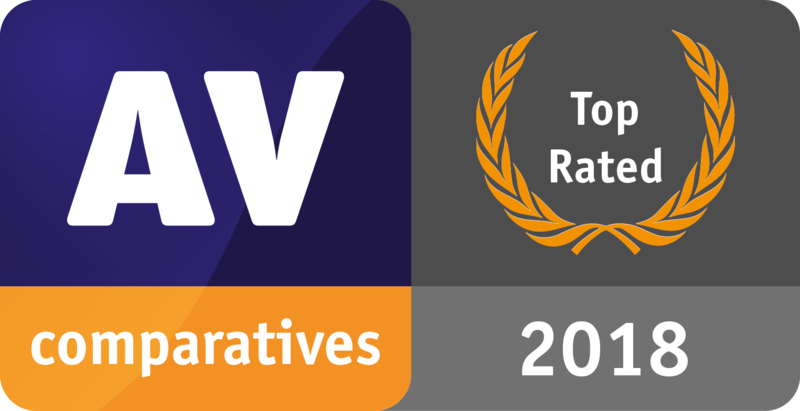 To check out all our tests, procedures and how we optimized these systems, read our whitepaper here.